The origin of Goa or Gomantak as it is also known, is lost in the mists of time. In the later Vedic period (c.1000-500 BC), when the Hindu epic Mahabharat was written, Goa has been referred to with the Sanskrit name Gomantak, a word with many meanings, but signifying generally a fertile land. The most famous legend associated with Goa, is that of the mythical sage Parashuram (the sixth incarnation of Lord Vishnu), who several thousand years ago created the entire stretch of Konkan coast by ordering the seas to recede. The Sea God gave up the lands on the the banks of the two main rivers of Goa viz. Mandovi and Zuari (then called Gomati and Asghanasini) for the settlement of the Aryans accompanying Parashurama. Another legend, less well known, states that the coastal area of Konkan enchanted Lord Krishna, who was charmed by the beautiful ladies bathing in the area. The ladies in turn, were so taken up by the melodious music coming from his flute, that they kept dancing forgetting their daily chores. Lord Krishna, then named the land Govapuri after the cows (gov) belonging to the locals. Gateway-of-india Your Goa beach holidaying begins when you arrive at the Mumbai International Airport where our representative will collect and transfer you to your hotel.After taking a rest in the hotel venture out to explore the Gateway to India and feel the magic of Mumbai before returning for dinner and overnight stay. Take flight to Goa,Dona Paula Beach , the beach capital of India. 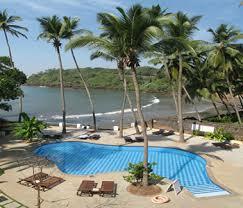 On arrival check in at a beach hotel then visit the Dona Paula, magnificent Marmagoa port. This is an elegant residential area with lots of beautiful views. Dona Paula beach is known as a paradise for lovers because of a myth related to this. There is a British war grave in the cemetery. Visit Old Goa, the former capital of Goa and explore the churches and Portuguese architecture. The Basilica of Bom Jesus is a World Heritage Site and there are other churches-Se Cathedral (the largest of the churches of Goa), Convent and Church of St. Francis of Assisi and the Church of San Cayetano, Church of St. Augustine and the church ruins and the Convent of Santa Monica. Return to the hotel beach for dinner and overnight stay. Mandovi River On the 3rd day of Goa Beach Tour, who embark on a trip to Panaji, the capital of Goa, located in North Goa. Located on the banks of river Mandovi, this city is so charming and houses several travel attractions. Churches and Portuguese Baroque style buildings and old Portuguese villas offer an environment. After exploring all the attractions that you can take a boat cruise on Mandovi River. Return to hotel. 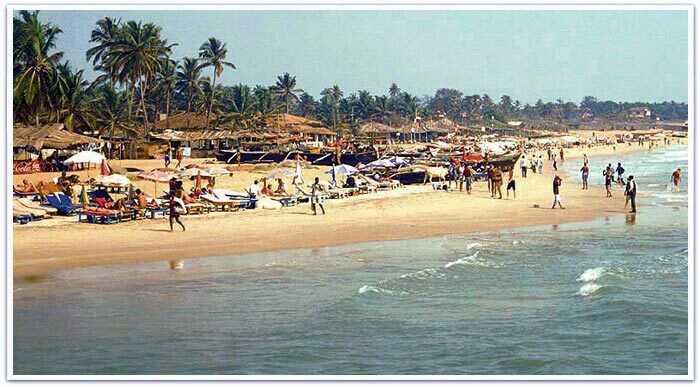 Goa Beach Tour Enjoy your holiday fun sun on the beaches of Goa. Go on a tour of the safari beach beaches such as Anjuna, Benaulim, Cavelossim, Colva, Aguada, Majorda, Candolim beaches with fantastic beaches. Overnight stay at the spa. Suburban beach for water sports If you are a fan of water sports, select a suburban beach for water sports. In the afternoon visit a club and experience the real charm of the nightlife of Goa. You can taste the delights of Goa and Goa Fenni drink, the local liquor. Markets of The Beach .The whole day is reserved for personal choice and enjoyment . The beach of Goa holidaying more fun to explore the markets of the beach. Goa is a popular destination for dining experience. Visit the exotic beach restaurant and savor the delicacy of Goa. There are plenty of continental cuisine restaurants in Goa. You can enjoy some of the best dishes. At the scheduled time our representative will transfer you to the airport for your flight to Mumbai. After checking into the hotel go on a tour of Mumbai. Then go on a tour of Mumbai. Explore the Prince of Wales Museum, Chatrapati Shivaji Terminus, the Bollywood film of the city, Marine Drive and other attractions. Bombay markets are a shopper’s paradise. Shopping. After dinner, overnight. Make enquiries in the morning regarding a boat trip to Elephanta Island which has ancient caves and temple art. On your return to the hotel your representative will deal with your airport transfer.